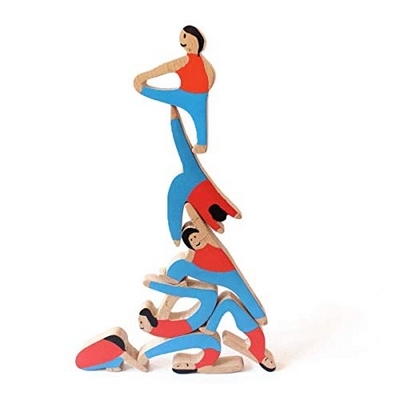 Make it fun and commit to fitness too.With its legendary powers of healing and wellness.This delightful wooden game tests your ability to skillfully balance these agile yogis atop one another to form a tower.The yogis demonstrate the asanas and yet should not topple for you to get your points. Each yogi is in a different pose and has a skill and a special ability that makes them a winner. You too can win at concentration, focus, strategy and fine motor skills.An educational game for all ages, it will draw everyone from ages 5 and above. 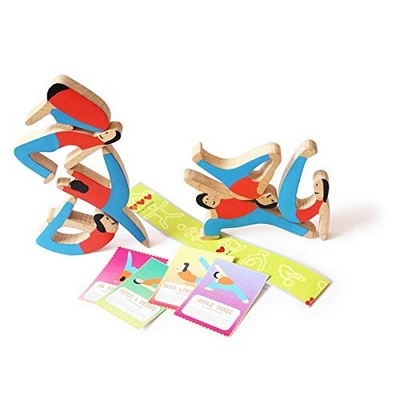 Comes in sets of 7 yogis, with cards and a measuring scale.